I have long admired Pier Marton’s film consisting of interviews of children of Holocaust survivors. It’s called Say I’m a Jew. 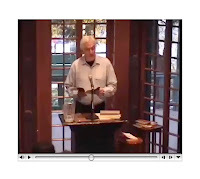 Hank Lazer reads from his poetry an hour ago at the Kelly Writers House.